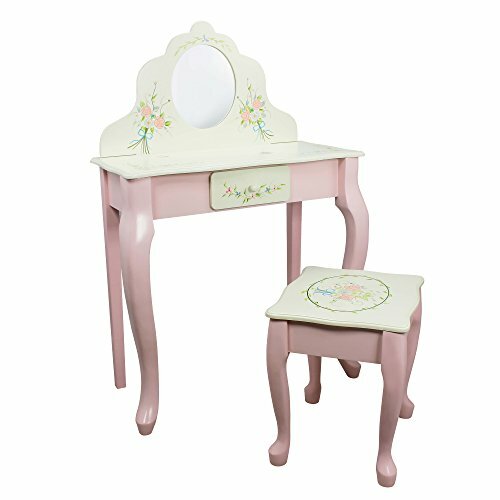 Vibrant pink and white and girlie all over, the Bouquet Vanity Table and Stool Set is the perfect place for your little one to store all their body sprays and chap sticks. Mirror has a unique hand carved shape, and stool matches the vanity perfectly. Some assembly required. Perfect for ages 3 and up. Table/Chair legs made by real wood, not by MDF to keep construction more sturdy. Tested for stability. Weight Limit: 100 lbs.